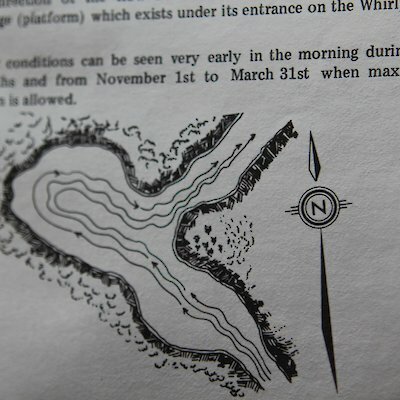 At various times the lower Niagara River Whirlpool (it’s where you find the Whirlpool Aero Car) 5.7 kilometres downriver from the falls is a whirlpool in name only. When the Niagara River is flowing at its normal volume, water rushes into the pool and is carried past the river outlet on the right. 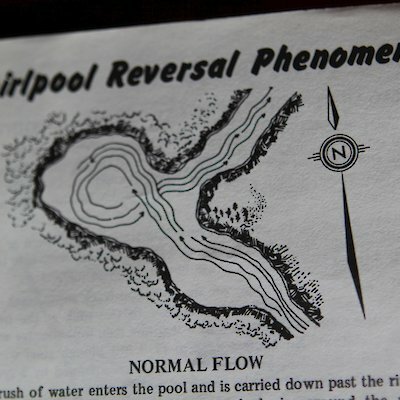 It then circulates counter-clockwise, creating a traditional whirlpool. When the volume is slow (that’s when more water is being diverted for power purposes) the Whirlpool shows no circular motion at all and becomes a “Whirlpool” in name only.